The subject comes up frequently in conversation with small and medium businesses looking to get found online and concerned about their online reputation. 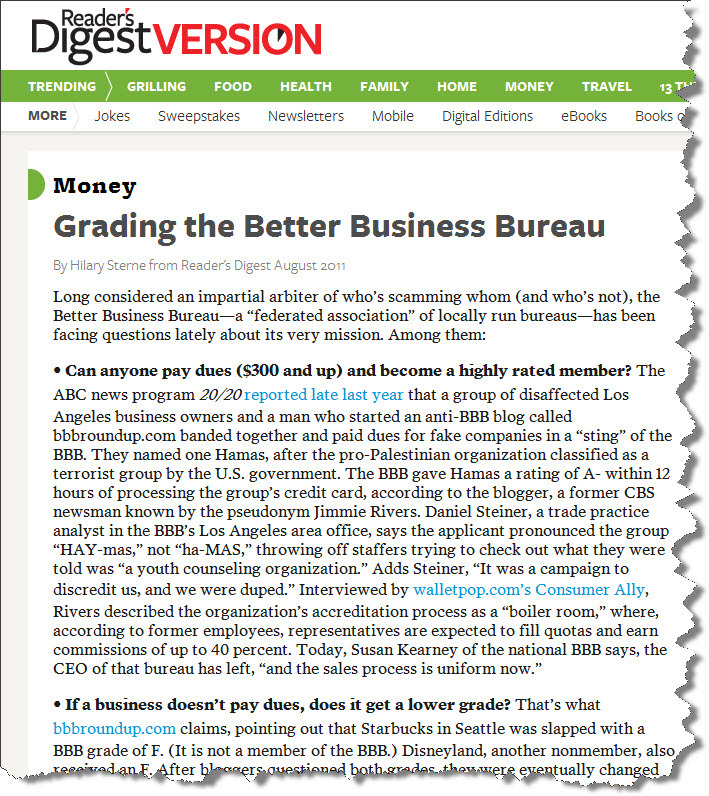 From the managing reputation perspective, the following article titled Grading the Better Business Bureau caught my attention. 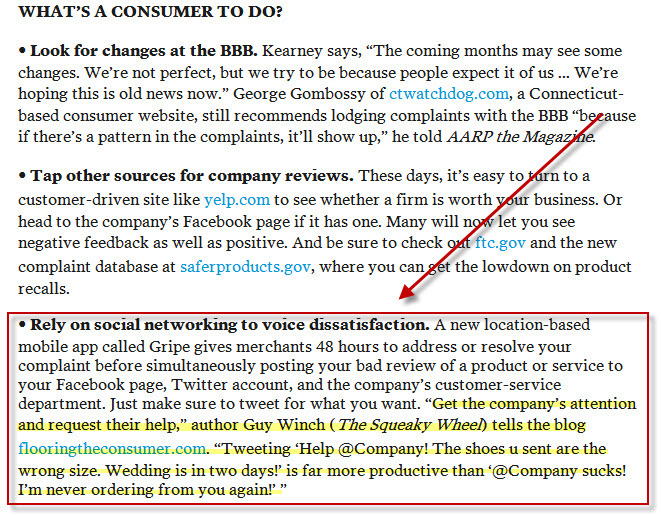 Guy Winch forwarded it to me because the last section refers to our blog interview on Flooring The Consumer about How To Complain and Get Results. The poor ratings I came across showed no credible justification. What were the issues that could have led to an "F"? For that matter, even the "A+" ratings lacked credibility. There's definite value in third parties that reassure potential customers about trustworthiness, especially when they support local search results. The BBB tagline is "Start with Trust" - in case you were wondering. However, in a world where consumers can offer and obtain feedback via social sources such as Yelp, where Google Places pages search for posted reviews and where business owners have the opportunity to publicly respond to feedback in a transparent manner - thereby more actively managing their online reputation, is a BBB listing valuable? What's your take? How valuable is the Better Business Bureau to you for local search? How has it helped you manage your online reputation? What have you found most valuable?